When you start a business blog you are most likely interested in generating a significant readership and subscribers. Once you have your blog up and running, you need to ensure that you create and nurture a relationship with your subscribers. One way of doing this is by sending out a regular newsletter to your subscribers. There are many advantages of sending out a regular newsletter to your followers. First and foremost, it is a great way of keeping readers updated on all matters related to your blog or about new posts on your blog. Even if you have a number of subscribers who follow your blog religiously, they may miss something important for any number of reasons. When you publish a regular newsletter, you can highlight new posts on the blog, create contests and invite them to interact with you on social media to ensure that your subscribers are always up to date on new content. As a blogger, every passing day is an opportunity for you to generate more subscribers; but you also need to keep them happy and have them coming back to your blog after the first visit. A visitor might come across your blog, like what s/he sees and then subscribe to updates. With a regular newsletter, you remind your readers to come back to your blog and with time you can transform them into loyal followers. If you are a blogger for a cause or non-profit and have people or organizations that are supporting you, newsletters can come in handy to acknowledge all those involved and furthering your cause. You can also use newsletters to relay certain information that you may not be able to post on your blog. Subscriber-only specials, discount coupons and contests can be restricted to newsletter subscribers. You could also announce any new changes you plan to make on the blog and ask for reader feedback. Regular newsletters show your subscribers that you value them and take them seriously. Making regular posts is all well and good but it may not achieve the level of interactivity you require for your business to thrive. In newsletters, you can address your subscribers directly and make them feel that they are part of something meaningful. With newsletters, it also becomes easier for you to monetize your business. As the amount of traffic coming your way increases, you could monetize by bringing a few advertisers on board, or sell your own products and services. Traffic alone might not get you the results you want, but if you have a mailing list to which you send newsletters on a regular basis you will get better conversions and make more money. Finally, when sending newsletters to your subscribers, it is important to include only meaningful information. 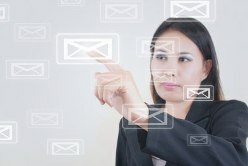 Make sure that regular does not mean every day – no one likes to be bombarded with emails from a single source; doing so is one of the surest ways of losing subscribers. Sending out a weekly, fortnightly or monthly newsletter may work best. You need to conduct tests to determine the frequency that works best for your readers. This is a chapter from the free report, 6 Steps To Attract More Leads With Your Blog. Download this report and learn 6 steps to creating a blog that will help in generating more leads for your business.